Last week, we reported the surprising news that Legendary Pictures has moved its highly-anticipated King Kong prequel Kong: Skull Island from its new studio home, Universal Pictures, to its former home, Warner Bros. The move back to Warner Bros. will help set up a new project, Godzilla Vs King Kong, which will reportedly go into production after Godzilla 2, set for a June 2018 release. Today we have news from The Hollywood Reporter, revealing that Kong: Skull Island will actually help set up Godzilla Vs King Kong, with references to 2014's Godzilla. The report reveals that the Kong: Skull Island script features references to Monarch, the monster-hunting agency from Godzilla, which Dr. Ishiro Serizawa (Ken Watanabe) and Vivienne Graham (Sally Hawkins) worked for. It isn't known how Monarch fits into the Kong: Skull Island universe, or if this means that Ken Watanabe and Sally Hawkins's characters will return to reprise their roles in Kong: Skull Island. Still, this report reveals there is one massive problem that needs to be addressed before Godzilla Vs King Kong truly moves forward. King Kong is said to be much, much smaller than Godzilla, which Universal would often acknowledge, and may be one of the reasons they ultimately passed on the project, causing Legendary's Thomas Tull to take it back to Legendary's former studio home, Warner Bros. One Universal source claimed executives made "funny comments" that King Kong needed to be the size of the Empire State Building to fight Godzilla, instead of hanging off it. Sources close to Thomas Tull reveal the executive is confident he can come up with a logical reason for both Kong and Godzilla to do battle, and possibly become allies as well. All that we know about Kong: Skull Island at this point is that the story will follow a group of explorers who visit King Kong's homeland. Tom Hiddleston, Brie Larson, Samuel L. Jackson, Tom Wilkinson, Corey Antonio Hawkins, John C. Reilly, Jason Mitchell and Toby Kebbell are attached to star, but it isn't known when production may begin. Jordan Vogt-Roberts is directing from a script by John Gatins and Max Borenstein, with Jurassic World writer Derek Connolly coming aboard to rewrite the script. Early reports called Kong: Skull Island a period piece, with the events taking place in 1970s Detroit. With the 2014 Godzilla taking place in modern times, it isn't known if Kong: Skull Island will still be set in that bygone decade, or if the story has been changed. If Kong still takes place in the 70s, that's one more slight discrepancy that will need to be worked out. Kong: Skull Island is set to hit theaters March 10, 2017, while Godzilla 2 has a June 2, 2018 release date already set. Gareth Edwards returning to direct Godzilla 2 from a script by Max Borenstein, although it isn't confirmed which cast members are coming back for this follow-up. 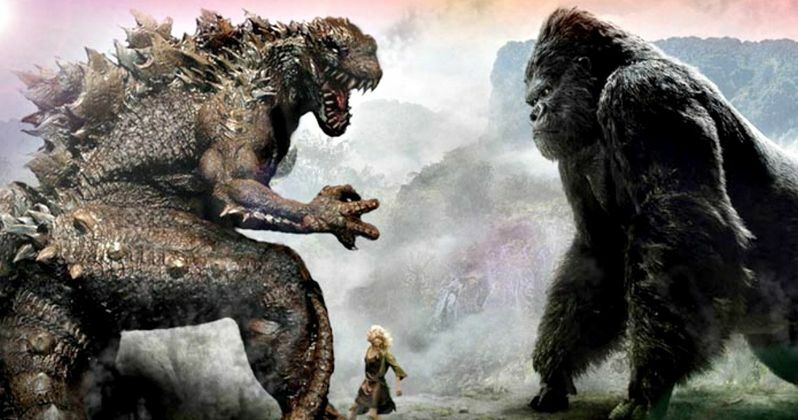 Are you excited to see how Kong: Skull Island will set up Godzilla Vs King Kong? Let us know what you think, and stay tuned for more details.